Today I am going to share with you what transpired on a cold winter’s afternoon in Minnesota. 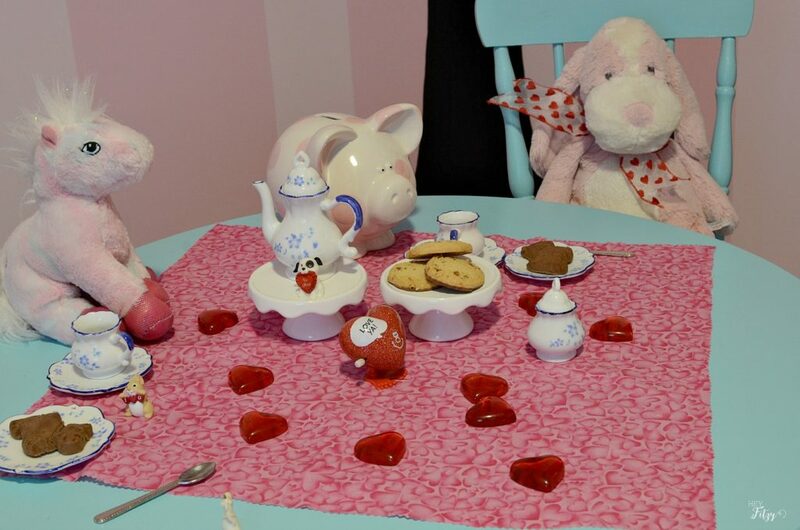 While way too cold to play outside, my youngest daughter transformed her room into a Valentines Day Delight. Suddenly an impromptu little girl tea party ensued and became the talk of the house. Even her older siblings were working their magic to get an invitation. Are y’all getting tired of winter yet? As I work on this post I know that various parts of the country are getting snow today…lots of snow. Thankfully for us folks in Minnesota we don’t have any snow in the forecast. Even without snow it is cold outside. The kind of cold that makes your body shiver and your bones ache. Can I secretly wish for summer? I mean really…any temperature above freezing sounds delightful right now. You know what else I am dreaming about these days…Valentines Day. It is right around the corner and always a fun day to celebrate with the loves in your life. It doesn’t take us long into the month of January to start spreading hearts and the color red all over our home. My youngest daughter’s room is no exception. She loves to pull out our Valentine decorations and spread little hearts everywhere. 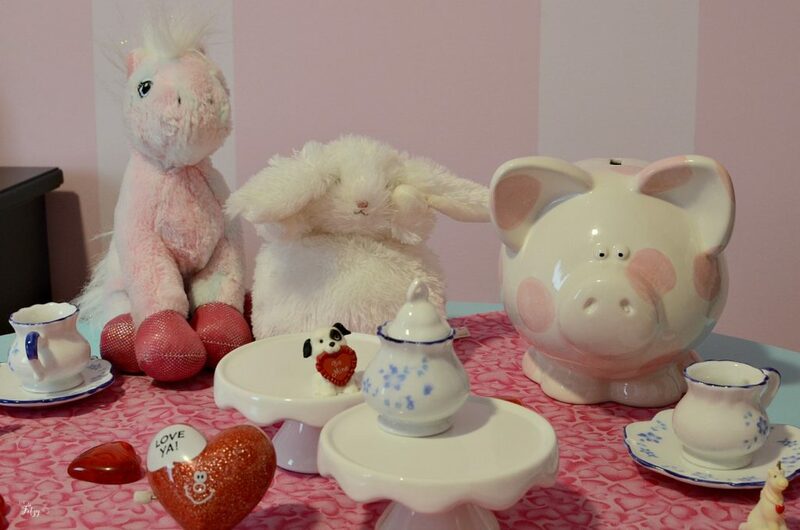 On a recent cold afternoon, she began decorating her room for Valentines day and suddenly all her stuffed friends were enjoying an impromptu tea party. Please note that affiliate links have been used. Click HERE for my disclosure statement. She used the table in her room to get up the tea party. A simple piece of cotton fabric instantly became the table cloth. Her little tea set was arranged for all her guests and hearts were scattered around. Our particular tea set isn’t still available but I have provided a link to a similar tea set HERE. There is something magical about having tea with a little girl. With a little imagination we created a Valentines wonderland and enjoyed the best tasting water you can imagine! Why does it always taste so good in those sweet little cups? Since this party was impromptu we didn’t want to stop everything to make a batch of cookies. 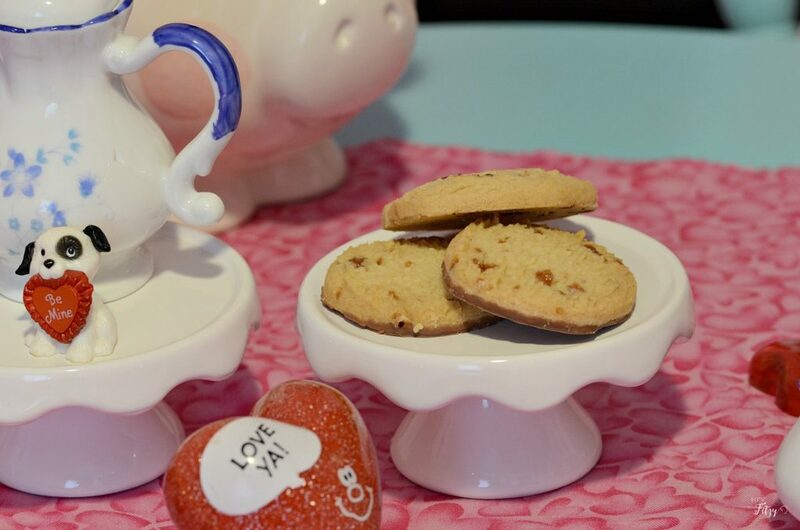 In the moment we found these Walker Shortbread Cookies were perfect for the occasion. 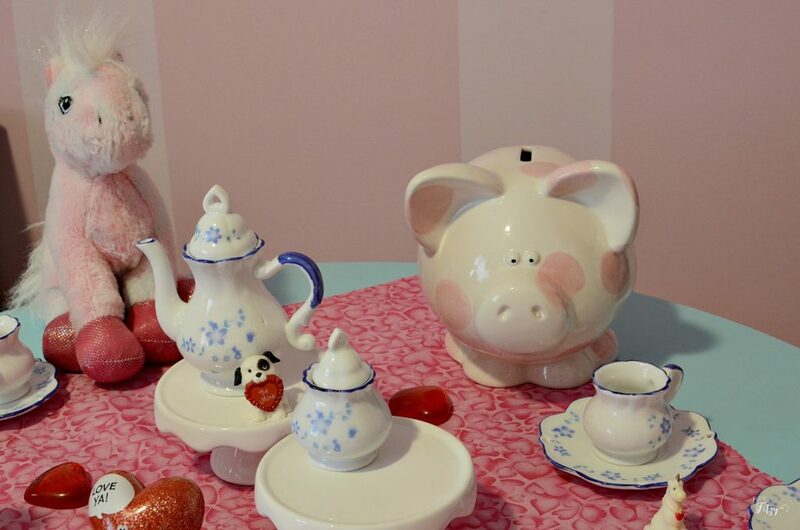 This little tea set is just the sweetest and perfect for little hands. It is amazing how excited a little girl can get to pour water from a little tea pot and drink from sweet little cups. Even her piggy bank was invited to the party. 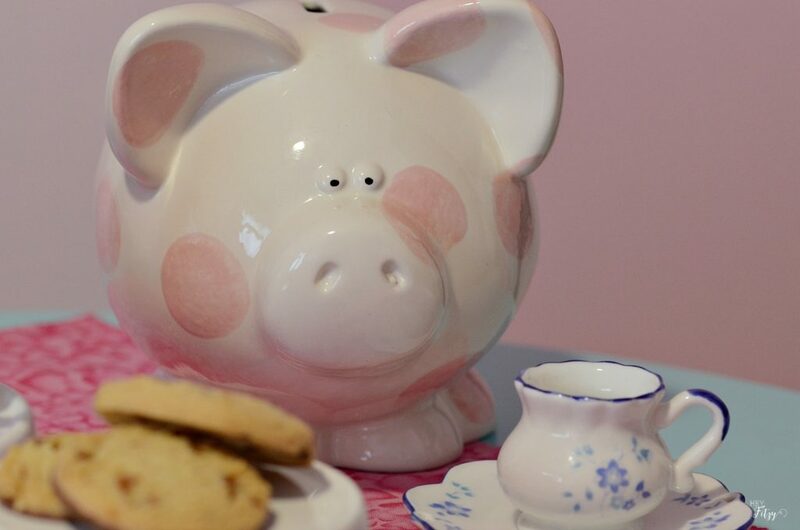 This sweet little piggy bank was a special project I worked on while we were waiting for our daughter to arrive. 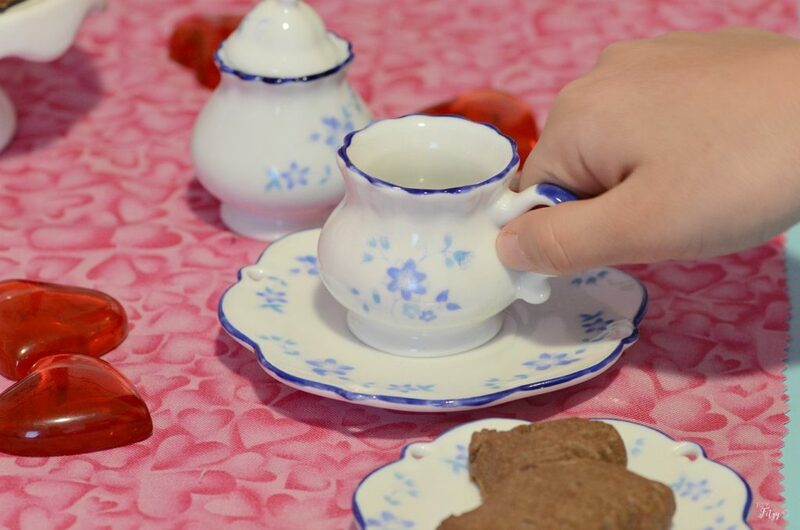 Not only are the cookies the perfect size for our little tea party, they tasted delicious as well. I think my favorite was the Chocolate Toffee Shortbread. Her favorite puppy got a fancy tie for the occasion. Just a simple heart ribbon did the trick! 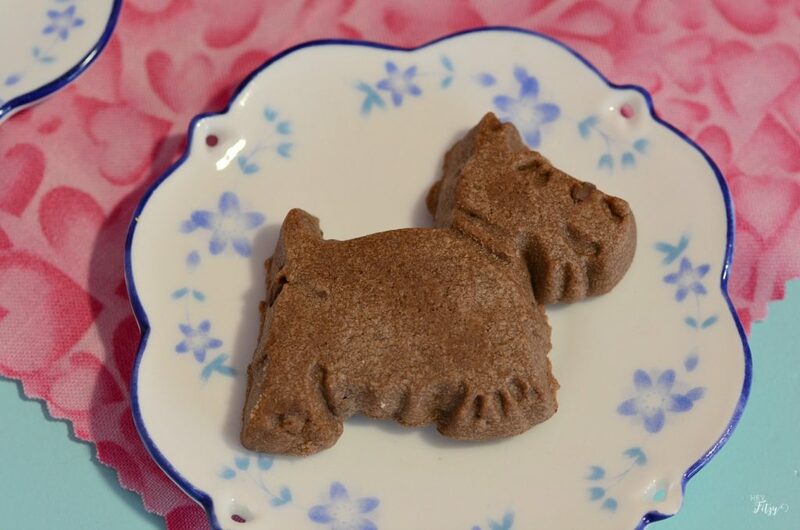 How sweet are these Chocolate Scottie Dog cookies? They were the perfect addition to our impromptu tea party and tasted yummy too! These are the little moments in life that I know I will cherish for a lifetime! Sitting around this table sharing giggles and cookies with my girl was priceless! 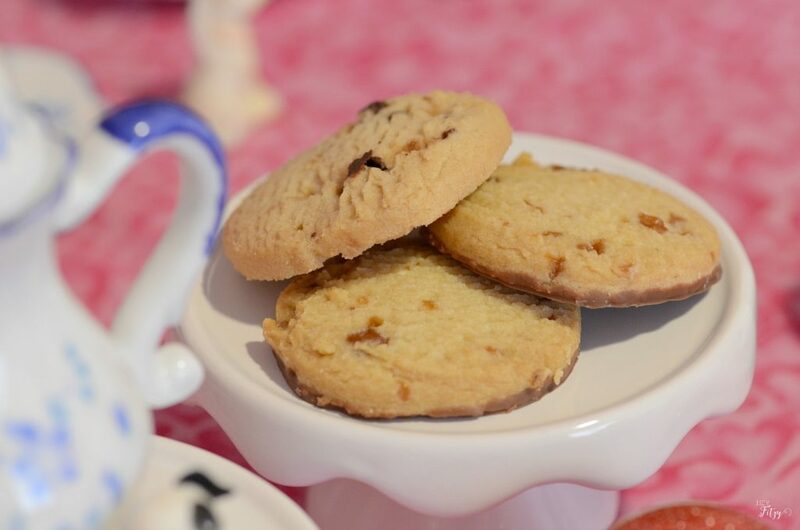 A special thank you to Walkers Shortbread for providing the delightful cookies for this post! All opinions and thoughts are my own. Awww. Such a sweet moment to share with your little one. It's making me wish my girls were more interested in tea parties. Though, we do 'fashion shows' all the time! Maybe we need a sweet little tea set similar to yours. 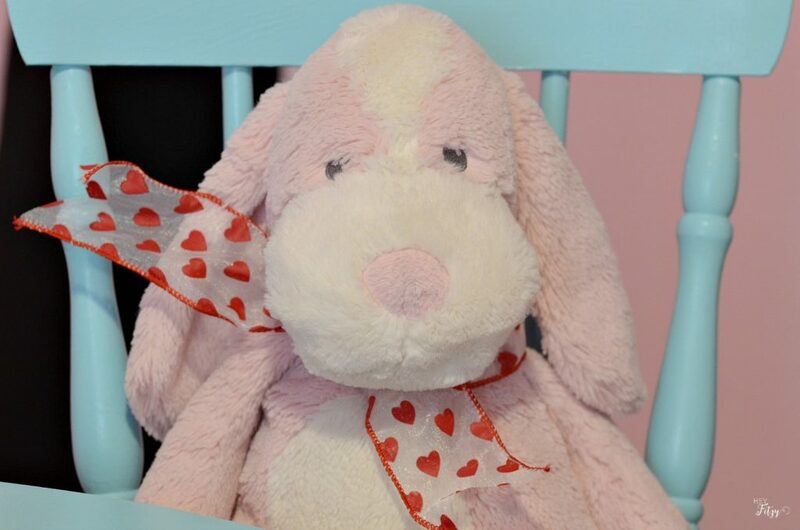 Wishing you and your family a wonderful Valentine's Day tomorrow! Hi Leslie, Fashion shows are so much fun. Enjoy those precious moments with your girls. I like to leave the little tea set out on her table and then we tend to have more impromptu tea parties. If I put it away...we don't really play with it. Happy Valentines Day to you!!! That's very cute. 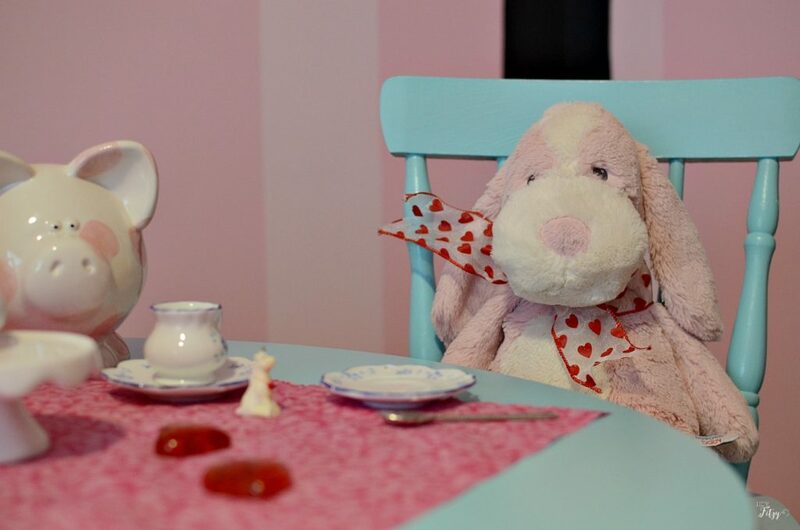 My kids are in high school and college now but I still remember tea parties! Thanks for sharing at Funtastic Friday! Thank you Kimm! They grow up all too quickly so I am really enjoying this special time with my youngest! It won't be long before she doesn't want to have tea parties with mom anymore!